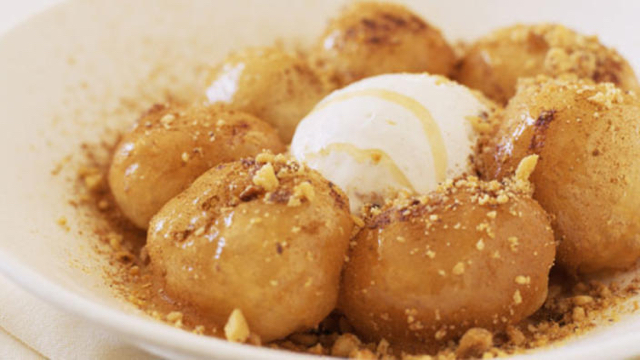 LOUKOUMADES or Honey Ballz are a hand made Greek dessert.....a little ball of batter that is deep fried and coated with a warm and yummy honey syrup and then can be sprinkled with the following toppings: sesame seeds, cinnamon, cinnamon sugar, walnuts, chocolate drizzle, or even ice cream. 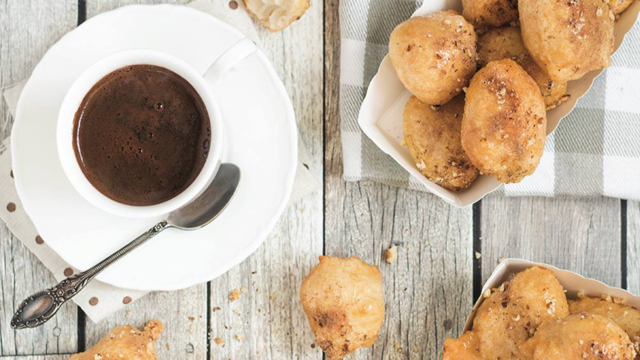 The honey balls are served warm and just melt in your mouth. A delicious dessert that pairs nicely with a warm beverage. 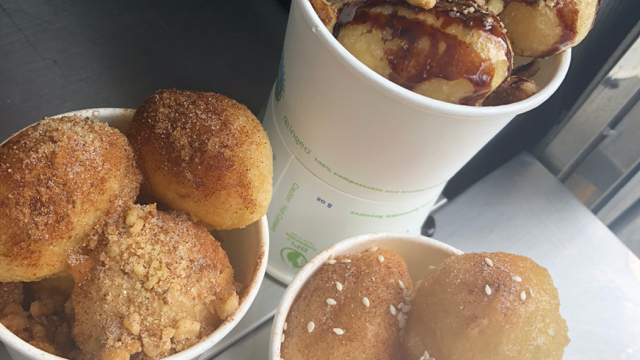 Sorry, we don't know when Betty's Greek Honey Ballz will be open next. We last saw them on December 16, 2018 at Cloverdale Bill Reid Millennium Amphitheatre. Check back soon — as soon as they post their schedule it will show up on this page. 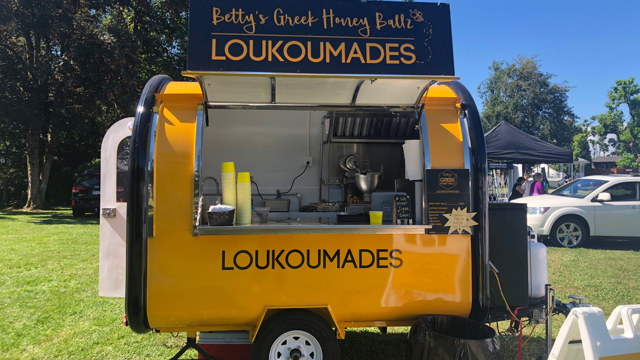 Do you own Betty's Greek Honey Ballz? Sign in to post your schedule.